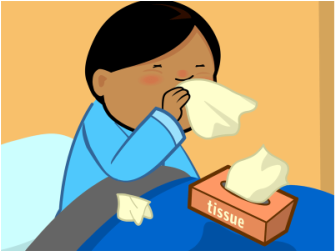 Did you know that teaching your child to blow their nose properly from a very early age can help prevent Otitis Media. It is very common in Schools and Early Learning Centres now for the children to do daily nose blowing lessons to help prevent ear problems. The BBCCW is a quick routine with the intention of emptying the nose, one nostril at a time, to clear the ears. It includes quick exercise such as jumps & running on the spot and coughing into the elbow (not hands). It also includes crunching apples/carrots/celery etc for fruit break to exercise the eustachian tube. As well as this it instructs students to focus on nose breathing instead of mouth breathing. Doing the BBCWC every morning before learning time can benefit every student as they can experience a conductive loss on any given day. Hearing can be good one day and bad on others- this is a conductive loss. Generally when a child has alot of nasal 'snot' they will not be hearing well that day. Blow each nostril seperately to truely clear your nose.